"Customer Service" has become a hollow catch-phrase for many businesses. But what does it really mean? Fair pricing or fast service? At Sherwood Auto Repair, we look at customer service as an integral and innovative part of our business culture. Our customer service model is carefully crafted from what we would want as a customer. Longevity-My dad, Felix Laplante, started his automotive business in Maine in 1972. To say I grew up in the business is an understatement. In 1986, we moved to Oregon and opened Sherwood Auto Repair and or 32 years, we have repaired cars for our customers in Sherwood and the surrounding communities. Investment-We invest in our community! Involvement in a community is more than just opening your business. We build relationships, sponsor a "Learn to Play Hockey" clinic, participate in the Chamber of Commerce, and spend our dollars at other local businesses. Moreover, we invest in our employees. Angel has worked for us for 13 years, Katie has been here 3 years, and Audrey started working for us when she was 15! All of our technicians receive a minimum of 20 hours of advanced training and continuing education. 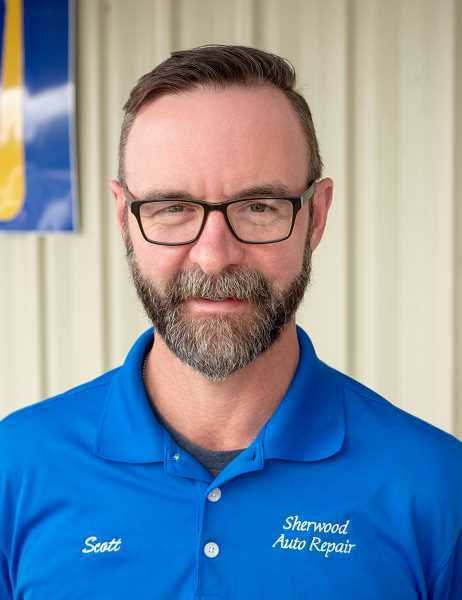 At Sherwood Auto Repair, leadership comes from active example and it's important that our employees have a high-quality of life. You!-Our business focuses on detail rather than turnover. We repair 50 cars a week to the high-quality standards we are known for. Quality over quantity. Every car receives a thorough inspection and work starts after your authorization. We stand by our work, too, with a 3 year/45,000 mile warranty. We don't want to be just another repair shop, we want to be your preferred garage.